This tag is design to tag and manage the fiber-optic cable. enable this complex work with RIFD/ NFC function. With special structure is easy to install, without harm to cable, and fixed well. The FOC3.0 designs for 3.0mm dia fiber-optic cable. Optional with all HF RFID IC to encoding this tag with RFID/ NFC function. 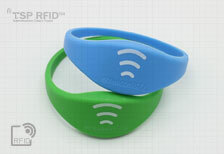 With excellent RFID performance to read on normal NFC phone or hand hold with up to 2cm reading range. The FOC2.0 designs for 2.0mm dia fiber-optic cable. The FOC4.5 designs for 4.5mm dia fiber-optic cable.